You can take the alumnus out of Cooper Union, but you can’t take Cooper Union out of the alumnus. There isn’t a job, a project, or an industry function where I don’t bump into a fellow Cooper Alumni. And we are all, always proud of our Cooper Union heritage. Cooper Union plays such an integral role in our development as young students, who then go on to become the professionals who impact the various worlds of local and global art, architecture and engineering. I have maintained a consistent level of involvement at Cooper Union functions since graduation, but have desired to give back more to the institution. The institution that made me deserves some of my support in return. Cooper Union needs to return to being a full tuition institution. The institution needs to restore and preserve Peter Cooper’s legacy for generations of alumni to come. Sabeel Yosef graduated from Cooper Union in 2005 and 2006, after earning both a Bachelor and Masters of Engineering in Civil Engineering, respectively. Sabeel went on to pursue a career as a Project Manager in the Construction Management industry, with a focus on healthcare construction. She joined several fellow alumni at Bovis Lend Lease immediately after graduation, and worked at Skanska USA and Gilbane Building Company, as well. 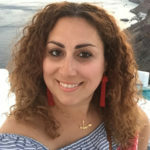 In 2012, her dream of living abroad became a reality, when she spent two years in Cairo, Egypt thriving on the energy and optimism that resulted from the 2011 Egyptian Revolution. She found herself in awe of the political activities that led to the 2013 coup, and was inspired by the opportunity it presented. Living through a revolutions is such rare and unique experience. She eventually met her husband, and began working as a Senior Project Manager and Designer with an award-winning Interior Design firm, Eklego Design. Her experience of living in such a dynamic, high-energy city, during such a politically intense time in its modern history, as well as exploring and expanding upon her love of design, made this one of the most exciting times in her life. She, her husband, and faithful cat moved to New York City in 2015. Sabeel is currently working as a Project Manager at Zubatkin Owner Representation, a firm owned by a fellow Cooper Union Alumnus. In her current role, she supports Educational and Cultural institutions through the construction and/or renovations of their facilities. When she’s not working, she is either renovating her own home in South Orange, NJ, or enjoying her two greatest passions in life- cooking and traveling. She hopes to some day pursue a life and career infusing her experiences in design, construction, and travel.